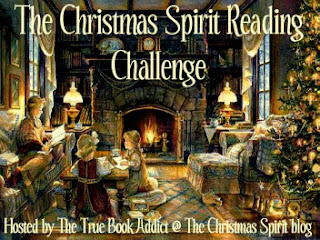 I almost forgot to write a wrap-up for the Christmas Spirit Reading Challenge! I had a lot of fun with this one. I had signed up to read just one holiday book, and that's all I managed to do. But I also signed up to read holiday books with my kids, and we managed to read a lot! For the one adult book, I read Jacob T. Marley by R. William Bennett. I loved it! It was such a wonderful story, written as a sort of companion to the classic tale, A Christmas Carol. You can read my review here. As far as the books I read with my kids goes, here's the full list! You can see my short reviews of some of these books here and here. I had a lot of fun with this challenge and look forward to participating again next year!